Across the nation, and the world, we have seen technology grow in presence in our daily lives. We are seeing robotic technology be utilized in numerous fields and categories. According to the Seniors Real Estate Specialist Professional volume 7, brought to you by the National Association of Realtors, robotics research is outpacing even the most ambitious projections. 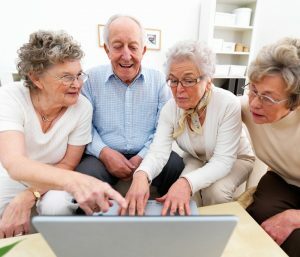 Within the next decade, by the year 2030, all baby-boomers will be over the age of 65. Senior citizens are expected to outnumber children at this time. With this dramatic increase of the worldwide population of senior citizens comes the unfortunate rise of Alzheimer’s, the cost of assisted living, the cost of retirement homes, and the risk of seniors living alone. Seniors, especially women, are typically alone in their homes— often with adult children living far away. 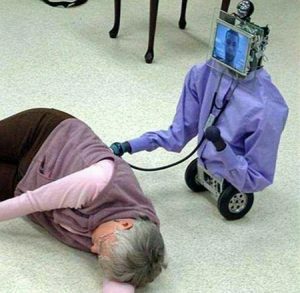 Robotic technology has promising developments in caring for seniors. There are stationary, telepresence, and interactive robots all in the works to make life easier for everyone. However, for seniors, it is a need rather than a luxury. Robots could give rooms and homes a “smart home” feel. Whirlpool’s Scan-to-Cook microwave can cook something for you automatically— as soon as you snap a photo of the barcode and cooking instructions. Various thermostat companies have the option to adjust the temperature of your home from your smartphone. Robotic vacuums, such as the Roomba, take the hassle of vacuuming away. Smart lights can be set up throughout the house; as well as smart doors (no more fumbling for keys!). You may think that these items sound like “fun,” but for some, they may soon become a necessity. Seniors have indicated that robots would be useful for physical, informational, and interactive assistance. Among seniors, Baby Boomers are most likely to adopt robot assistants and caregivers since they already have years of experience in adopting new technologies in their jobs and homes. Just imagine how smart assisted-living homes will be once Millennials are seniors!